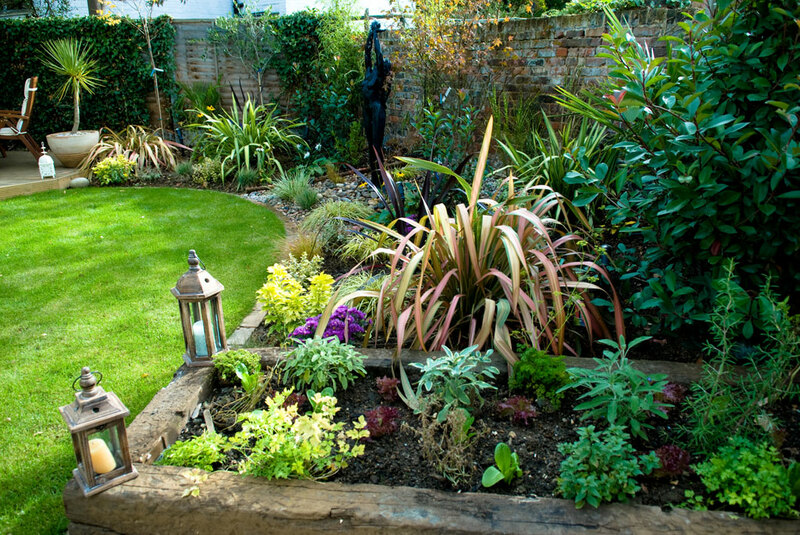 Our client wanted a London garden design. Her garden was small and she wanted to make the most of it. 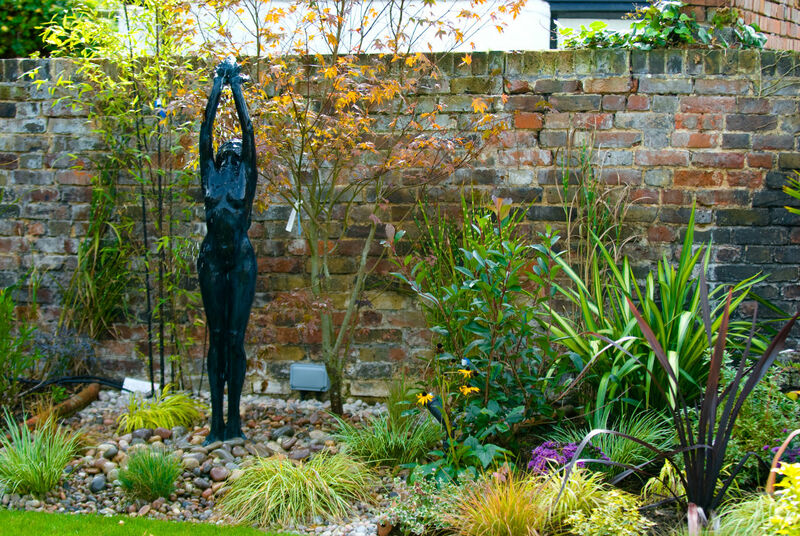 She wanted it to be alive and vibrant, a place where she could proudly entertain and show her london garden design off to he friends.Picture one below shows the beautiful water feature set in a London Garden design.Picture two London Garden design shows a lovely Herb garden. 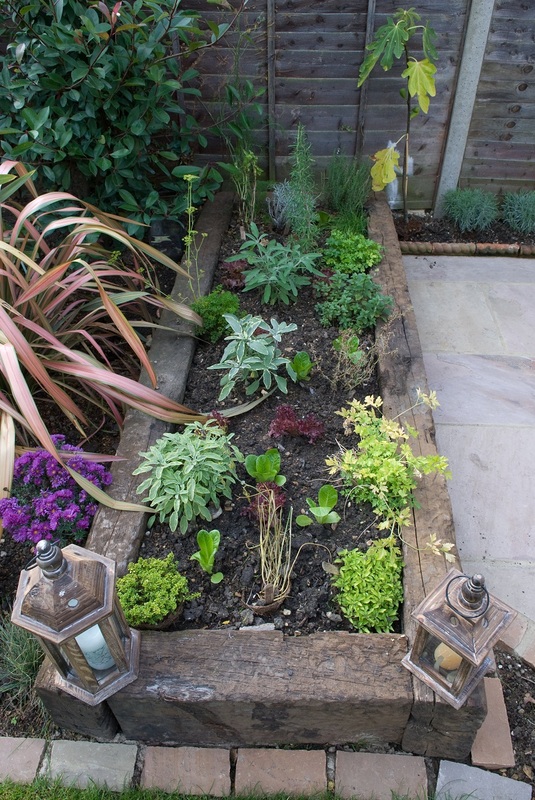 Herb and vegatable gardens are becoming increasingly popular.At New Dawn Garden Life we believe that our clients should enjoy gardening so we design these little raised gardens so that they’re eas to use. Close to the kitchen… to hand ready to use when cooking.Tidily contained so that it’s a joy to garden and easily maintained. 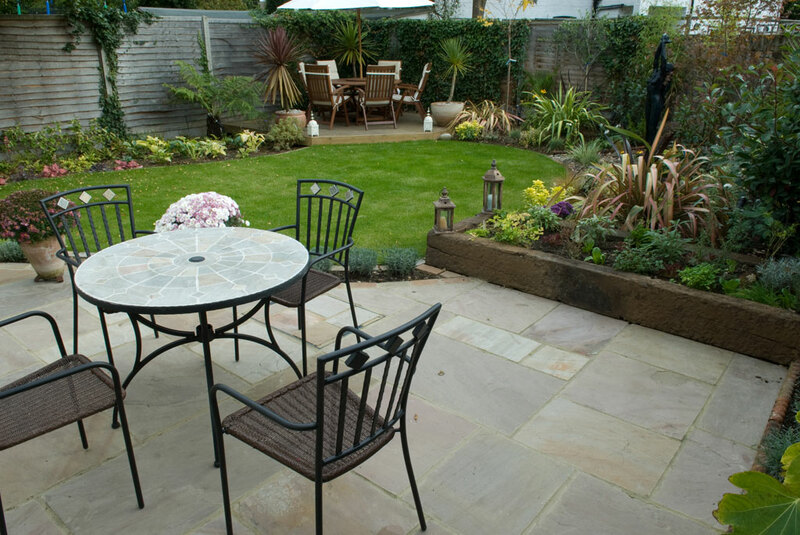 Beautifuly set in the context of a london garden design.Picture three, our London garden design shows how lovely a lawn and flower bed can look with the use of natural stone edging. 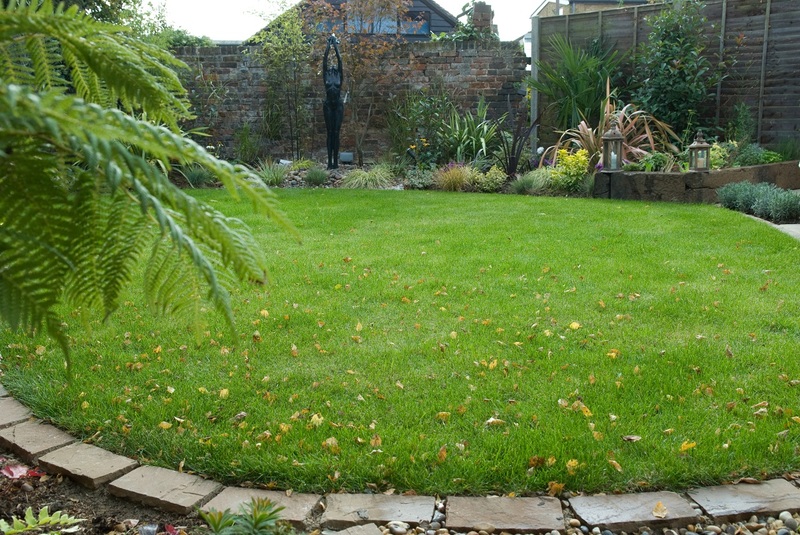 These syle looks great all year round, lasts for years and make maintaing your London garden design a joy.